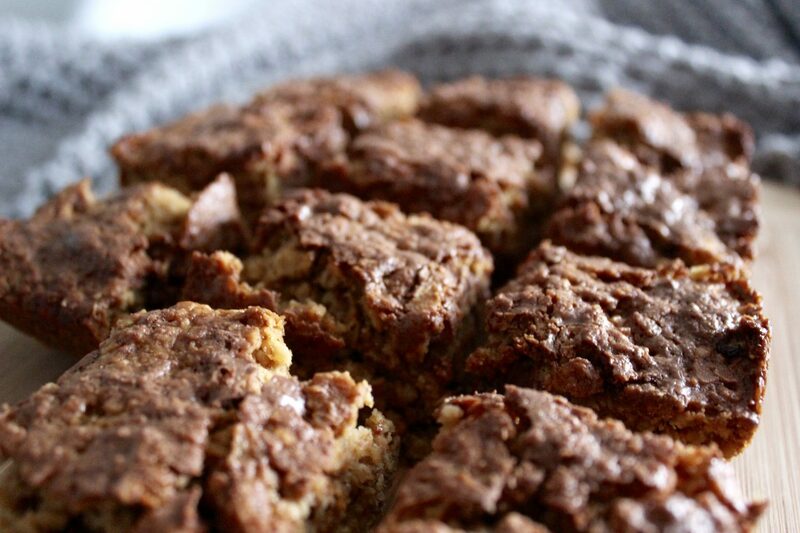 Earlier on this week I made a batch of yummy chocolate peanut butter flapjack. I absolutely love flapjack and haven’t made any in years. 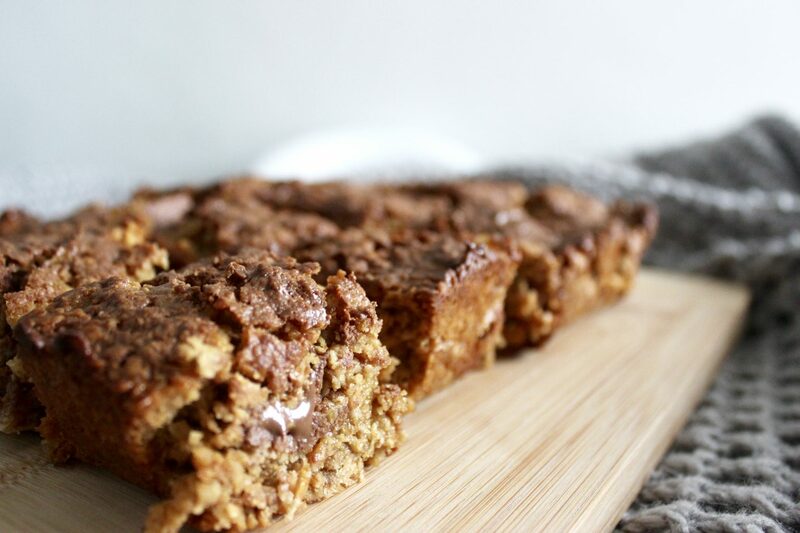 I decided to go with peanut butter flapjack as I’d seen a few different recipes floating around on Pinterest and I’m obsessed with peanut butter! 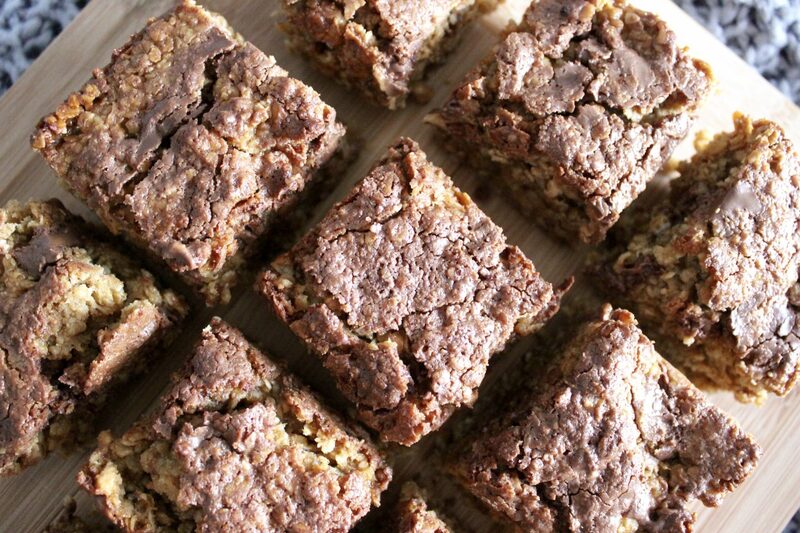 The beauty of flapjack is that it’s just so quick and easy to make. Mix everything together, pop it in a tin and in the oven for half an hour and bosh, job done! Preheat your oven to 170 degrees and line a tin with baking paper. Heat the golden syrup, butter and peanut butter on the hob until fully melted. You can do this in the microwave if you prefer. Stir in the sugar, oats and chocolate – I saved some of the Reeces to pop onto the top of the flapjack too which of course is optional but I liked the melted chocolate on the top. 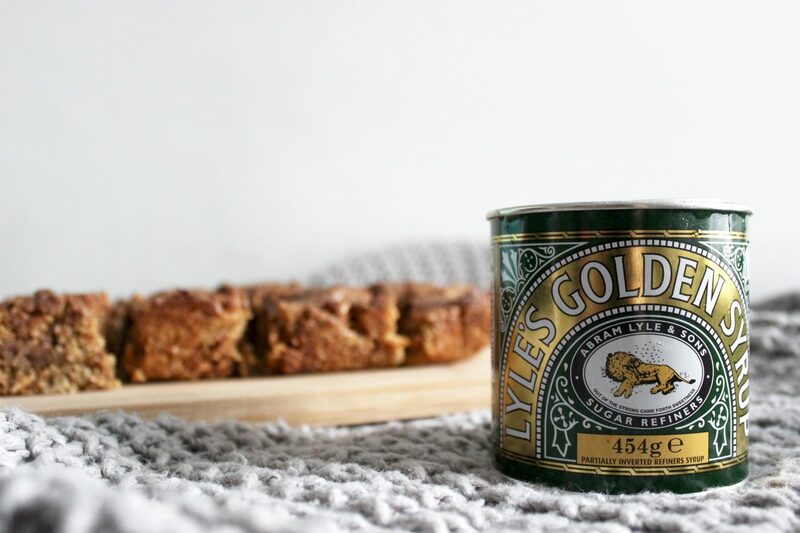 Press your mixture into the lined tin, making sure that you press firmly or your flapjack will be crumbly. Pop in the oven for around 30 minutes, until the edges start to look golden. Allow your flapjack to cool completely before turning out and chopping up. Unfortunately my kids don’t like peanut butter, so me and my husband are having to eat it all ourselves, what a tragedy! 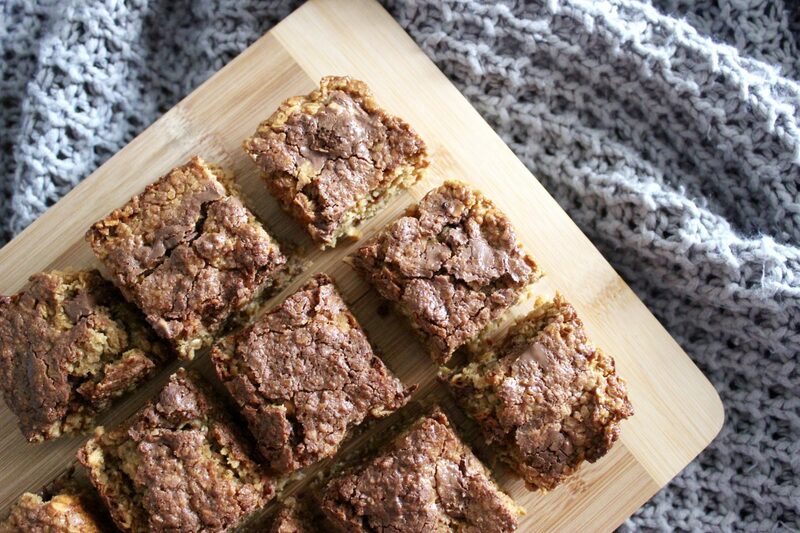 😉 I am planning on making apple and cinnamon flapjack next as I think that will be a huge hit with the children. Do you have any flapjack recipes that you love? This sounds lush Emma I love peanut butter ?? ?